A shift or expansion of the realized niche at different life stages is often ignored while implementing conservation actions. We tested whether habitat extent and associations at different life stages of two sympatric primate species belonging to the same taxonomic family vary with respect to their dietary requirements. We expected the groups and solitary males of a frugivorous species to have a smaller extent of suitable habitat than those of a folivorous species. 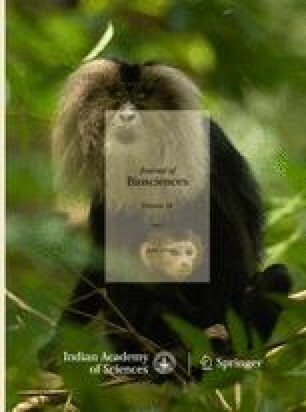 We used MaxEnt modelling to create habitat suitability maps using occurrence records and high-resolution remotely sensed environmental layers for groups and solitary males of highly frugivorous lion-tailed macaques and highly folivorous Nilgiri langurs in the Western Ghats, India. We found that the Nilgiri langur groups and lion-tailed macaque groups occupied a similar extent in our study area. However, due to weaker restrictions, the Nilgiri langur groups were observed to inhabit a broader variety of habitats than the lion-tailed macaque groups. Solitary males of both the lion-tailed macaque and Nilgiri langur migrate throughout the landscape, with only a 50% habitat overlap with their respective groups. We propose that a species’ dietary requirements have differential effects on habitat use, especially during dispersal, at the solitary stage in males. Communicated by N. G. Prasad. The online version of this article ( https://doi.org/10.1007/s12038-019-9865-7) contains supplementary material, which is available to authorized users. We thank the Kerala and Tamil Nadu Forest Departments for granting us permission to conduct field work in the forest areas of Kerala and Tamil Nadu. MS and JJE thank SERB and J.C. Bose Fellowship during which this article was prepared.